After such a busy and hectic month of May (new job, farewell parties, congratulation parties, birthday parties, and long awaited trips into the City) I finally got around to making my Craftsy’s May BOMs (with three days to spare until the end of the month!). I vowed to let my sewing machine sing again this past weekend and I did to my much satisfied delight! 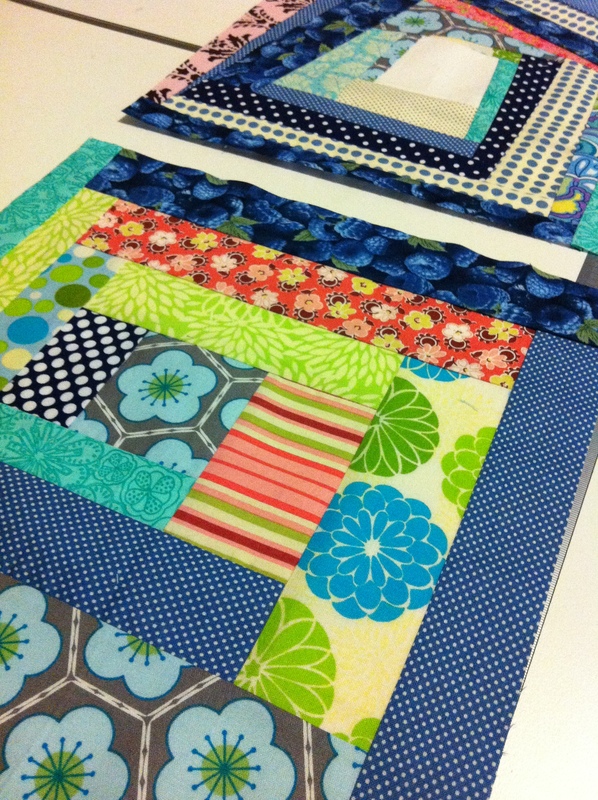 Based on the Log-Cabin block design, these little babies have that modern scrappy twist which I’m all in to! One is more traditional in design, yet modern and the other is known as a crazy Log-Cabin block design – you sew in any and all degrees with stripy bits of fabric. I really enjoyed sewing these blocks up as it involved a completely spontaneous method in how they were constructed – which in turn is always a nice change from having to measure and cut pieces out exactly while making sure you sew a ¼ inch seam allowance etc. I was so giddy with excitement and happiness when I had them complete, I was dancing around the lounge room with a smile ear-to-ear! 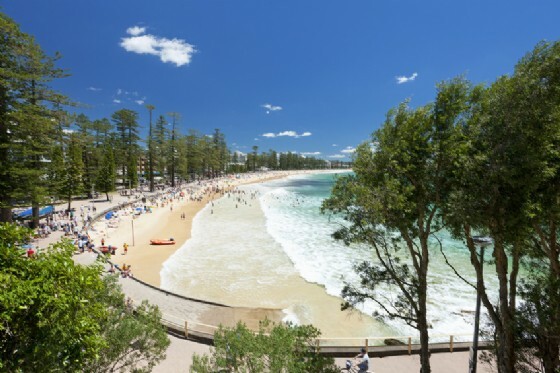 But visiting Manly is a highlight in anyone’s day whatever it is that you’ll be doing there – swimming, shopping, browsing, picnicking or (like me) for the ferry ride!! The shops along the Corso sell the best fish and chips, pizzas and award winning ice cream! 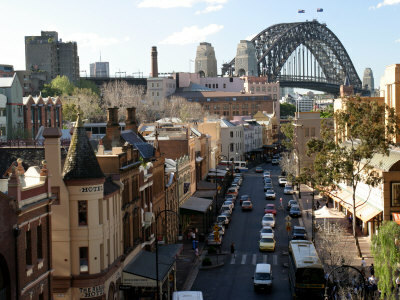 I also hope to check out the weekend Markets at The Rocks, something I’ve wanted to visit in a very long time! Plus, there’s this awesome button shop where the walls are packed with 1000’s of different buttons! A crafter’s heaven!! I always spend way too much money in that store – as one does! 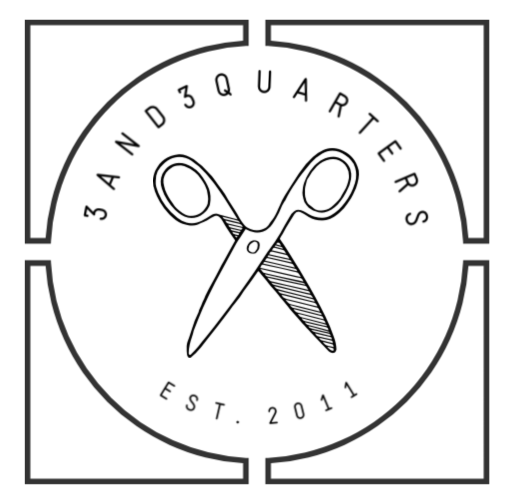 There are so many other crafty stores there like: Craft NSW Store, The Ken Done Shop, Parkers – Sydney Fine Arts Supplies and lots of little boutique art and textile stores as well as fashion, food and souvenir stores. 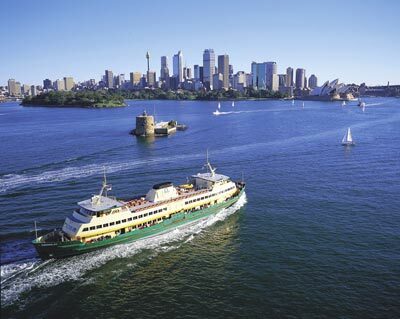 Gosh, I love visiting The Rocks! 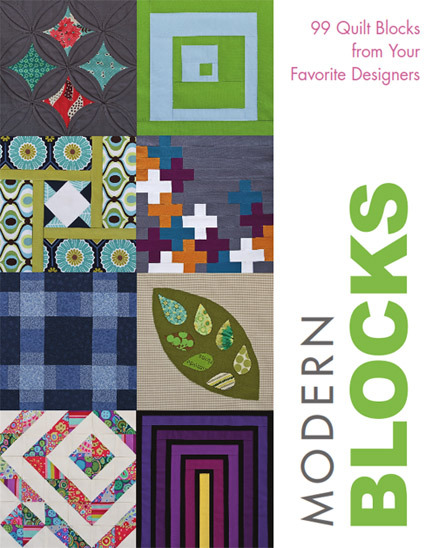 Over the weekend I bought a new quilting book – Modern Blocks, compiled by Susanne Woods with well known quilter’s contributing their extrordinary talents in sharing new and modern quilt blocks. 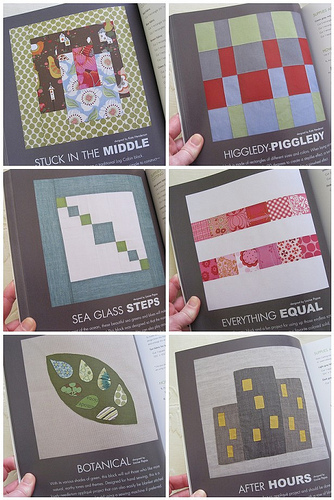 There are some really great designs in here that I can’t wait to get stuck into! 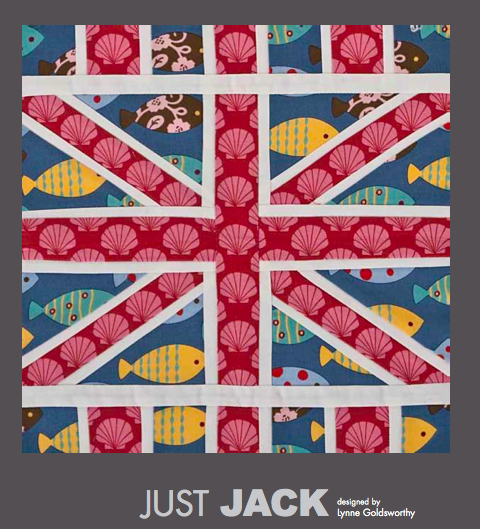 I particularly like this Union Jack one – Just Jack – as it satisfies my current obsession with all things British. I think it’s the whole Queen’s Diamond Jubilee fever that’s in the air, along with the Olympics as well as the fact I’m now saving to travel over there! Plus I have extended family in the UK who I’m dying to meet!! 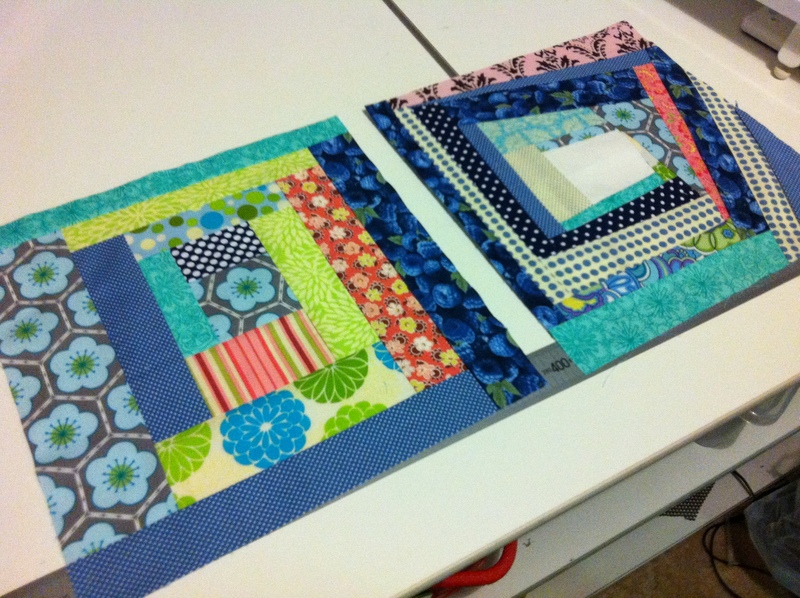 This block is made with the paper-piecing technique – something that I’ll have to learn before I tackle this little jem. I can image a beautiful ‘Ode to Britain’ quilt being constructed with this block; maybe with a Pop Art colour palette or more subdued traditional colours. Hmm…the mind ticks over!! Previous PostA Perfectly Honest Blog…. Next PostA Diamond Jubilee Celebration fit for a Queen!